Kenmore police are looking for the person caught on surveillance video stealing a package left outside someone's home. 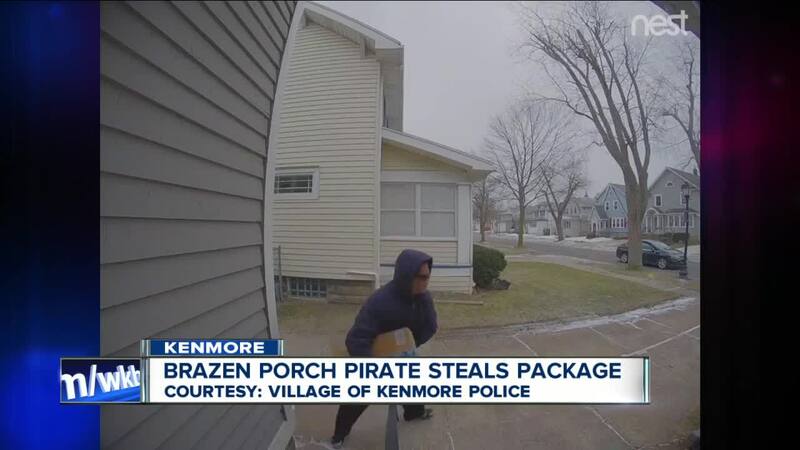 KENMORE, N.Y. (WKBW) — Kenmore police are looking for the person caught on surveillance video stealing a package left outside someone's home. It happened about 2:45 p.m. Friday in the 100 block of Wardman Road. The suspect is a white man with a gray goatee. Anyone who recognizes the the suspect or his vehicle is asked to call 875-1234 or email the confidential tipline at tipline@kenmorepolice.org.